triptyque architecture practices contemporary and sustainable architecture through the development of urban areas. 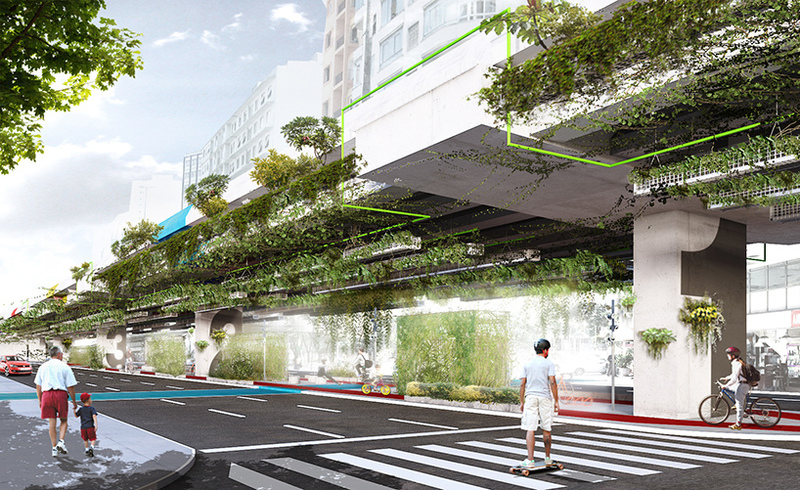 based in both são paulo and paris, the agency founded by grégory bousquet, carolina bueno, guillaume sibaud and olivier raffaelli was established in 2000.
architecture studio triptyque has revealed plans to transform são paulo’s minhocão viaduct with an array of vegetation and plant life. the 3.5 kilometer (2.2 mile) elevated highway was built in 1971, giving cars precedence within the city. today, despite being closed to vehicular traffic between the hours of 9.30pm and 6.30am, the viaduct remains the most polluted place in são paulo. 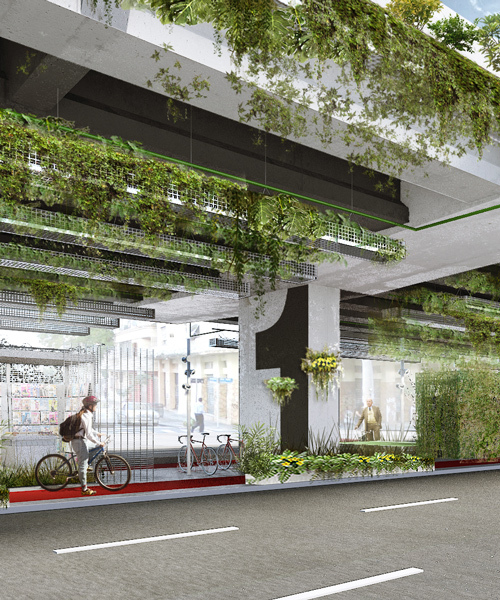 although there has been much debate regarding the future of the highway, the area beneath the viaduct has been largely left out of the discussion. 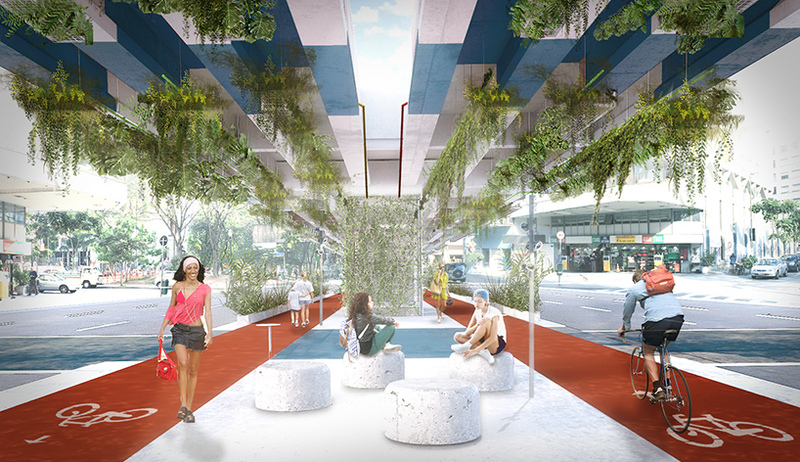 ‘minhocão marquise’, a proposal by triptyque, in collaboration with the landscaper guil blanche, encourages citizens of são paulo to reconsider the nature of the space, and how it can be used as a productive and engaging environment. the participatory project invites the local community to develop and share their ideas. the project is based around two simple architectural interventions. 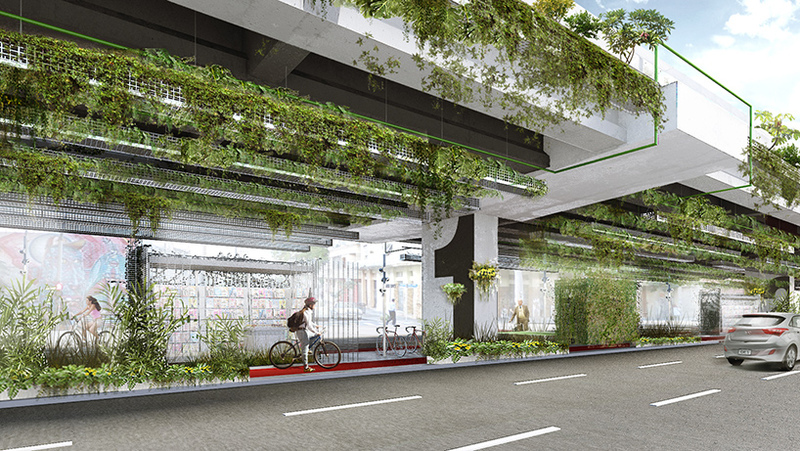 the first involves providing more natural light, while the second sees vegetation suspended form the viaduct — filtering 20% of co2 emissions from passing cars. the irrigation of these plants is provided by a natural water harvesting system, while its vaporization will help clean the air and surrounding surfaces. 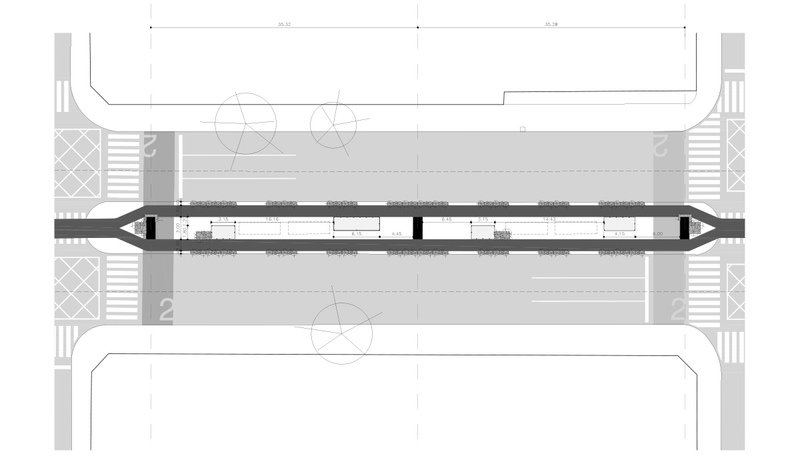 divided into blocks determined by the space between each concrete pillar (33 meters), the marquise could potentially host a range of programs. these numbered sections would host four functions: culture, food, services and shops.